Best SLR Lenses for Video When shooting video with your DSLR, you need to look at getting lenses that can shoot well in low light, especially when shooting indoors. Most lenses will give you decent video in daylight outdoors, but many fail in low light situations. Many pros use fixed or prime lenses with low aperatures to get the best pictures and video possible in low light. The lower the aperature, the more wide open a lens is, letting in more light. This will also mean that the area of focus will be reduced (shallow depth of field) and the background will be blurred (Bokeh) which is used artistically in making films and video. Low light lenses usually range from F/1.4, F/1.8, and F/2.8 for prime lenses, and F/2.8 for zoom lenses. 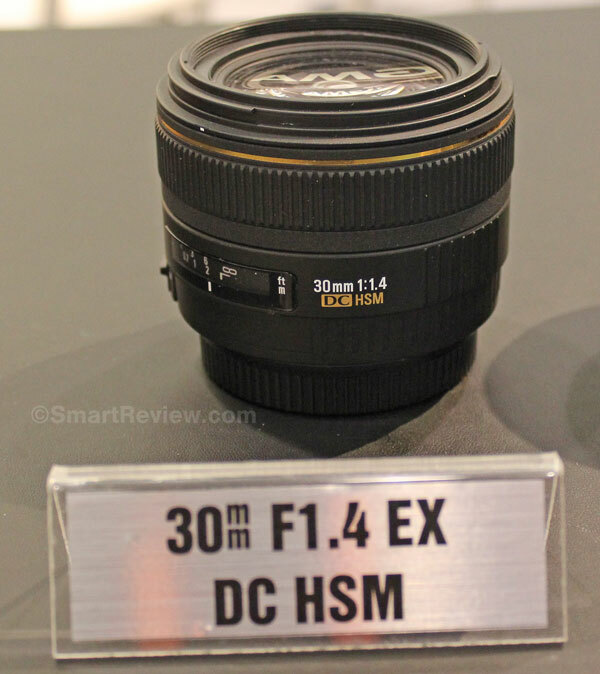 Another factor is to have an image stabilized lens (usually only available in zoom lenses). PRIME LENSES for Low Light Video – When choosing a low light prime or fixed lens, you must determine what 35mm equivalent lens you require. Most videographers tend to use a wide angle, normal lens, or portrait lens for shooting video. If your SLR has a full frame sensor, the lens at 30mm will act as a wide angle lens. However the same lens on a DSLR with an APS-C or DX cropped sensor will act approximately like a normal 50mm lens. 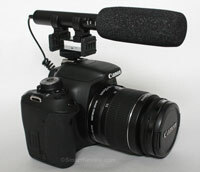 Another consideration when buying a video lens, is to have one with a USM motor (Ultrasonic) for the most quiet focusing. This is not necessary if doing manual focusing. Many DSLRs require manual focusing after your initial focus point when starting the video, so a lens with full time manual focus will allow you manually focus without flipping a switch. Some prime lenses (Rokinon) are manual only and do not have a focus motor. 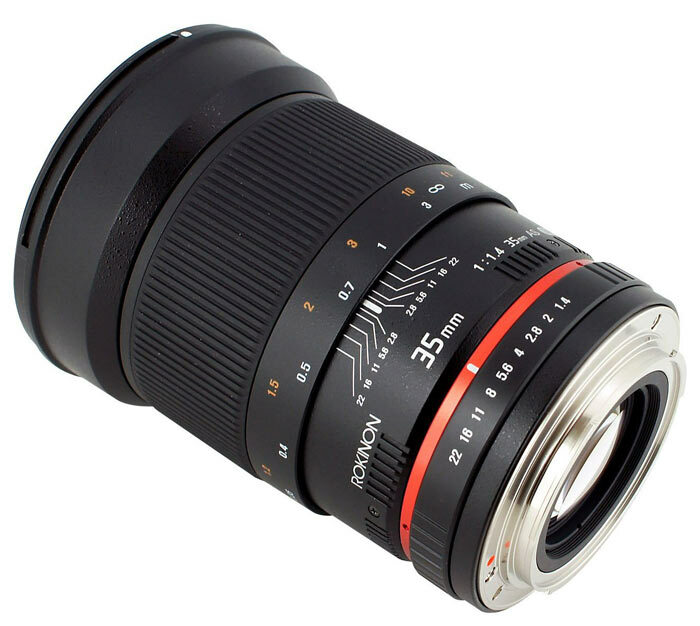 Below is a rundown of highly rated prime lenses suitable for video. Sigma low light prime lenses suitable for video – At CES SmartReview got to see and ask questions about Sigma’s lineup of lenses suitable for video. The most used lenses for video are Sigma’s 30mm ( made for APS-C size image sensors), 50mm, and 85mm lenses (all with f/1.4). The representative from Sigma said that their lenses have extremely quiet HSM (ultrasonic) drives, and are very sharp, even sharper than comparable Nikon and Canon Lenses. Certainly the reviews on Sigma lenses back up these claims. Some other low light wide angle lenses from Sigma which are suitable for video include their 20mm, 24mm, and 28mm lenses (at F/1.8). Canon low light prime lenses suitable for video – Canon has a large variety of low light lenses. Starting at 20mm (f/2.8), 24mm (f/1.4), 28mm (f/1.8), 35mm (f/1.4), three options at 50mm (f/1.2, f/1.4, and f/1.8), and two options at 85mm (f/1.2 and f/1.8). Most of Canon low light lenses have quiet Ultrasonic focusing motors. 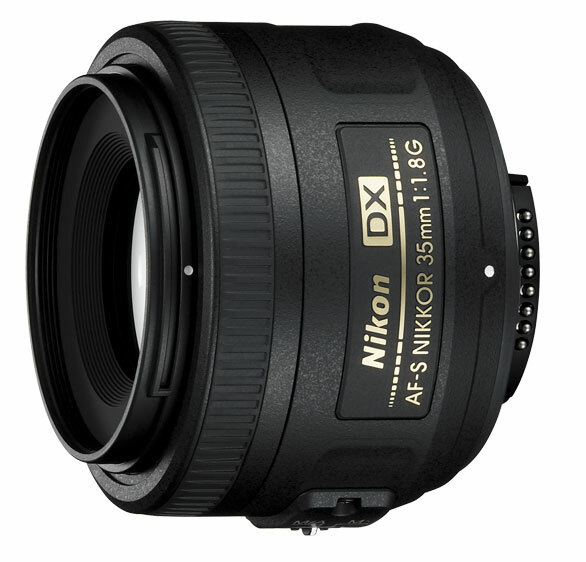 Nikon low light prime lenses suitable for video – Nikon has a large variety of low light lenses that can be used for video. 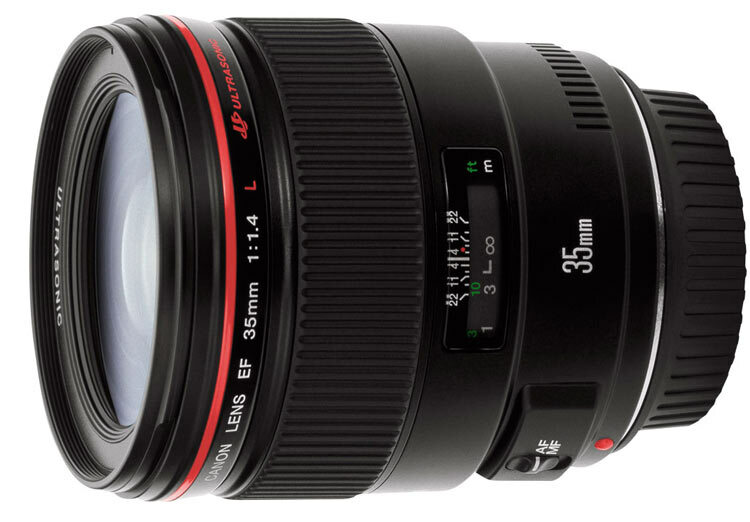 Starting at 14mm (f/2.8), 20mm (f/2.8), 28mm (f/2.8), 35mm (f/1.4, f2, f/1.8), two options at 50mm ( f1.4, and f/1.8), and 85mm (f/1.4). Most of Nikon’s low light lenses have quiet Ultrasonic focusing motors. Rockinon low light prime video lenses – There is a new low light lens, of which most people have not heard the name of this brand. Rockinon makes two lenses, a 35mm and 85mm (both f/1.4) and they are very highly rated. The price of their lenses is much less than name brands, but they give you excellent performance. These lenses are manual lenses (requiring manual focusing). We have read in forums and reviews that the 35mm lens is an excellent lens for natural light video taking. DSLR ZOOM LENSES for Low Light Video – When choosing a low light zoom, as with a prime lens you must determine what 35mm equivalent lens you require. As with prime lenses, get one with a USM motor (Ultrasonic) for the most quiet focusing. Manual focusing may be required by your DSLR after your initial focus point when starting the video, so its best to get a lens with full time manual focus. If manual focusing, a USM type motor is not as important, since you will not be using it for video. For Video, its important to get a zoom lens with a fixed aperature throughout the length of the zoom. If its not fixed, the lens will stop down as you zoom in, and the picture will get darker. Most zoom lenses change their aperature (fstop) as you zoom in. For lower light, the best zoom lenses have a fixed f/2.8 aperature for low light. These type of lenses can weigh a lot more than lenses with aperatures higher than f/2.8. Below are some of the best f/2.8 zoom lenses for DSLR video. LENS USAGE in Video Taking – The most used Prime lenses for video are in the 50mm range for Prime lenses. (For cropped sensor cameras, this would be from 28-35mm). 50mm equates to a lens at 1x zoom, or normal vision. For zoom lenses, the most popular for video are the 28-70mm, 24-70mm range. (For cropped sensor cameras, a 17-50mm is the most popular). Also you will see wide angle zoom lenses used for both panorama views outside, or use inside where you want a wider field of view since you many times can’t step back further due to a wall, or other obstruction. For Wide Angle Zoom lenses the 17-35mm and 16-35mm are popular (For cropped sensor cameras, the Tokina 11-16mm is by far the most popular wide angle lens). Manual Focusing Video – Many Digital SLRs require you to manually focus while shooting video. This will take some practice. Since you will be focusing using the LCD LiveView screen on your SLR, its important that its a high resolution screen. For example, the Canon Rebel T3i screen has over 1 million pixels resolution on its LCD screen, making it easy to find the correct focus. If you are manually focusing, you need to set the switch on your lens to manual focus (MF). Some lenses have full time manual, which means no switch necessary and you can override the automatic focus just by turning the focus ring on the lens. With practice, focusing can become much easier. The professional videographers prefer manual focusing to automatic, as you can be much more creative in how you focus. For example, you can be focused on an object in the foreground, and slowly focus to the object in the background. This can only be done with manual focusing. We highly recommend learning to use manual focus, even if your SLR has autofocus for video. With practice you will get much better results manually. Depth of field and focusing –The wider your aperture (especially in low light) the more shallow your depth of field and your focus point can be very narrow. Which makes it a bit harder to focus on. If you don’t need as much depth of field, you can stop down the lens, and have an easier time focusing, as your focus point is expanded. Shallow depth of field is where your subject is in focus, and the background will be blurred.